As smoke seems to grow thicker in Plumas County skies some people are turning to anything that will help breathing problems, headaches and the general feeling of just not feeling right with the world. Breathing in smoke, especially after weeks of being exposed to it, can cause a wide range of symptoms. Some of the more common problems are burning eyes, a runny nose, coughing, wheezing and other difficulties breathing — and that’s just for people who don’t have heart or lung disease. Wildfire smoke includes particles of whatever is burned in its path. In the case of the Carr Fire and the Mendocino Complex fires, there are more than just particles of vegetation billowing up in the smoke — there are gases from building materials, toxic cleaning products, whatever was used to build the automobiles that have gone up in flames, and much more. Although we’re miles away from the flames here in Plumas County, we’re still breathing in whatever was destroyed somewhere else. While some people might look to their medicine cabinets for relief, others are visiting their doctor or even talking to their local pharmacists seeking advice. Joanne Burgueno of Quincy is using essential oils to relieve the problems she and her daughters are experiencing from weeks of smoke brought in from some of the state’s largest wildfires. It had nothing to do with smoke-filled skies, when Burgueno first turned to her friend Kelsha LeAnne for advice on possibly using essential oils for anxiety relief. 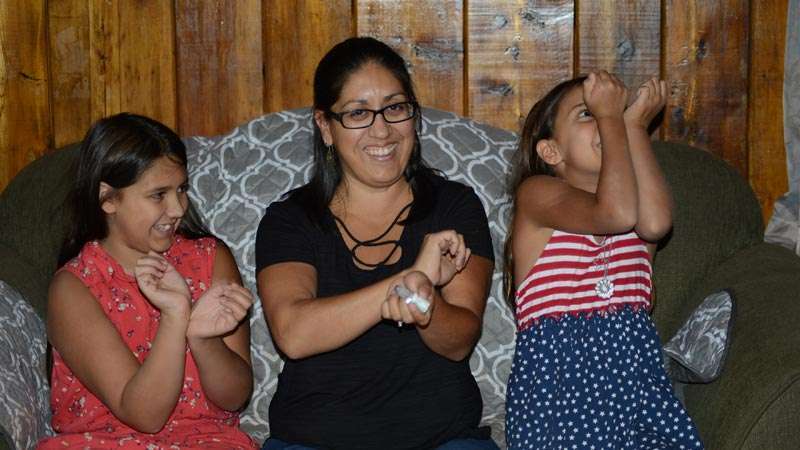 Following LeAnne’s advice on which oils to use for particular problems and learning how to mix them, Burgueno learned that not only did she find relief, but her two daughters also benefited. Essential oils are naturally occurring volatile aromatic compounds found in seeds, bark, stems, roots, flowers and any other part of a plant that might be beneficial. A drop on pressure points — wrists are great — on the head, back of the neck, the chest or diffused can bring about results, Burgueno has learned over the past year. Not only does Burgueno purchase essential oils that are found in organically grown plants, she’s selective enough to choose only oils that are grown from the very best of those specific plants. There are no shortcuts for her. One blend that brings relief for symptoms of smoke includes a drop or two of cardamom, copaiba, Douglas fir and eucalyptus. A drop or two of Douglas fir and eucalyptus on the chest can bring about a feeling of clear airways. A drop of cardamom in a glass of water can assist with respiratory discomfort. So what are these various oils and where do they come from? Cardamom, most commonly thought of as a spice, is from the seed of the plant. Its flavor is described as being spicy, fruity, warm and even balsamic. It is thought to help ease indigestion and maintain overall gastrointestinal health. It also promotes clear breathing and respiratory health, according to a web site on essential oils. Cardamom is said to have high cineole content. Cineole is the chemical component that adds fragrance or flavoring. As a pharmaceutical aid it is in cough drops and personal care products. It has a history of being used as an expectorant and an antiseptic. Some people experience skin sensitivity to cardamom. It should also be kept out of the reach of children. It is not recommended for use by pregnant or nursing mothers. People are asked to consult their doctor if they are already under a doctor’s care for a respiratory problem. People should avoid contact with the eyes, inner ears and other sensitive areas. Copaiba is another essential oil mentioned. It is believed to help soothe feelings of anxiousness as well as promote a healthy immune and cardiovascular system. It also works on the respiratory system. It is considered a powerful antioxidant. Copaiba is the resin taken from the copaiba tree found in tropical South American countries. It’s commonly used in cosmetics, soaps, creams and lotions. Just like cardamom, copaiba can produce signs of skin sensitivity. The same advice should be followed and kept out of the reach of children. Douglas fir is said to promote feeling of clear airways and creates easier breathing. It is a good cleansing and purifying addition to skin care. And it promotes a positive mood and sense of focus. Its aromatic description is clean, fresh, woody and airy. Although a Douglas fir is a tree that is widely found in Plumas County, it’s the branches and leaves where the essential oils are extracted. Some companies that produce essential oils look to Douglas firs grown in New Zealand for their source. One of the reasons it’s harvested there is that the tree is considered an invasive species and is threatening the country’s ecosystem. Therefore by using trees cut in New Zealand they are also assisting the environment. It’s the betapinene found in Douglas fir that contributes to feeling of having clear airways. Betapinene is a monoterpene an organic compound found in plants. It is a colorless liquid soluble in alcohol, but not in water. And has a woody-green pine-like scent. This essential oil is best when used in a diffuser. A drop or two of the Douglas fir essential oil can be placed on the pad inside a diffuser. As it works, the scent is carried around the room. The same cautions are noted for sensitive skin and for pregnant and nursing mothers as with other essential oils. It is also highly recommended to keep out of the reach of children. Eucalyptus is the last essential oil mentioned, but by no means an end to the list. It’s said that it can help promote a feeling of relaxation and clear breathing. Eucalyptus has a very distinct scent described as camphoraceous and airy. The essential oil comes from the leaf or stem of the eucalyptus tree. Its oil is found in cough drops, massage products and in cleaning products among others. JoAnne, I am so proud of you for sharing your knowledge of healing with nature. You and Victoria did an amazing job with this write up. Helping others heal naturally, beautiful. Just a comment.. ingesting in water is not the best way to receive respiratory relief. Inhalation takes it to the lungs and into the blood stream much more safely. My heart goes out to all those affected by these fires.